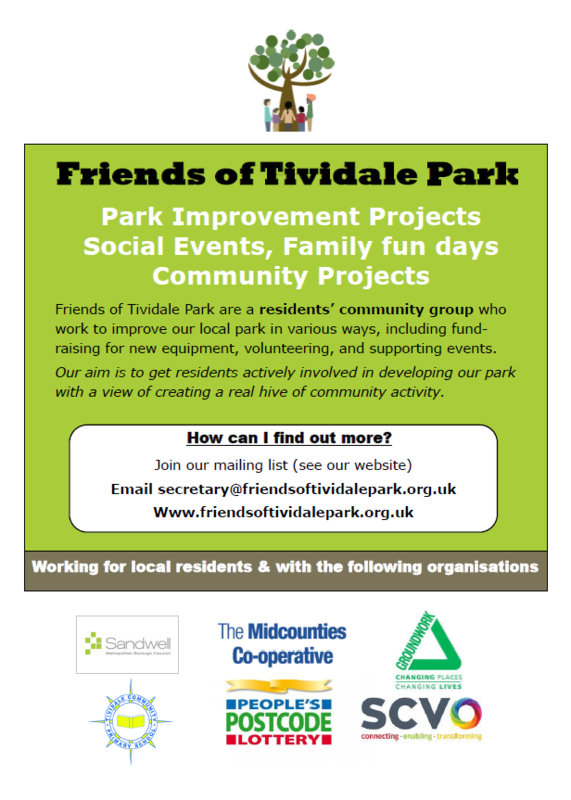 In September 2017 residents reported the zip wire had broken to the Police Special Constable who contacted Friends of Tividale Park. We informed the council park services but what ever reason, eg change in personal or other, repairs were unable to be completed in 2017. The new cable and trolley are on order for the zip wire along with a couple of others. We have been waiting for a while for the cable as seems to be an issue getting the correct cable suitable for this use from our suppliers. Seems to be a shortage of the correct spec since before xmas. We will keep this on our agenda until it is repaired. Following a meeting of FOTP with council representatives we also requested speed warning signs for the park, similar to the ones installed in Victoria Park. This was agreed an an order placed. This is especially significant for whn events are held in the park where there is a lot of traffic using the driveway at the gate by the Wonder Pub.